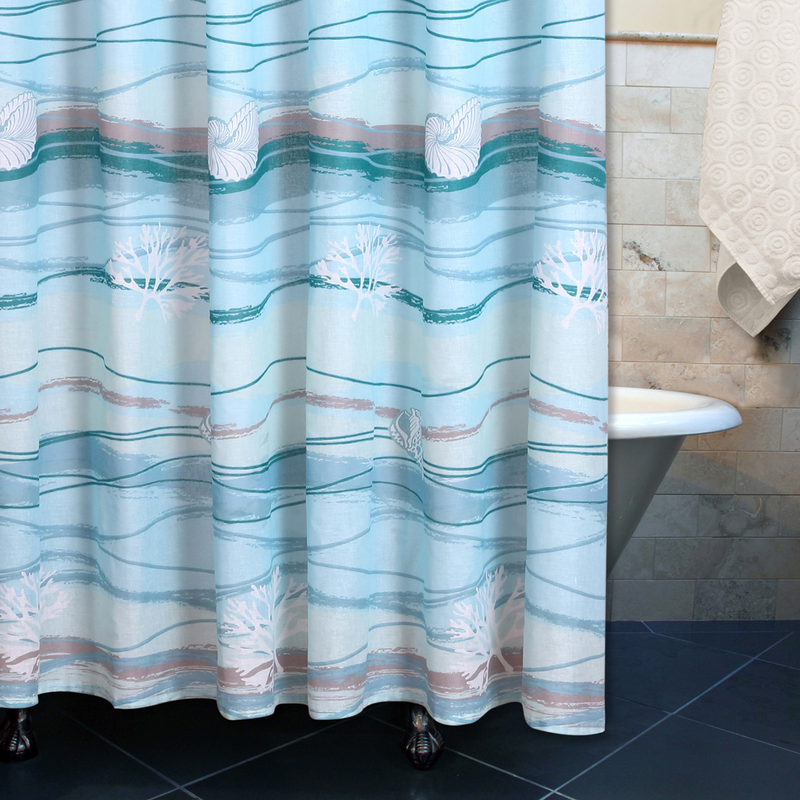 Give your bathroom coastal flair with the Honolua Bay Shower Curtain. This beach shower curtain is detailed with turquoise, teal and ocean blue waves adorned with sea shells and corals. Ships from the manufacturer. Allow 1 week. Cannot express ship. For further products, we encourage you to take some time to browse our entire selection of beach shower curtains at Bella Coastal Decor today.